The 100th Anniversary of Children’s Book Week takes place April 29-May 5. HideAway Books is an official Children’s Book Week location. Please follow our Facebook event for ongoing information about everything happening during the week. As part of the week, we will be awarding gift cards to local kids who are aspiring writers. See information below for the Poetry Contest and Short Story Contest. Open to all Utah County kids, ages 5-17. Write an original poem, up to 20 lines, in any style, on any theme. Poems can be handwritten and turned into HideAway Books at 8 E. Main Street, or emailed to heidi@hideawayusedbooks.com. Please put “poetry contest” in the subject line. Poems are due Friday April 26 by 5 p.m. Winners will be announced on May 1. Gift cards available for the first place winners by age group. Winners are also invited to read their poems during our Children’s Book Week events on Saturday, May 4. Open to all Utah County kids, ages 5-17. Write an original short story, no more than 2,000 words, in any style, on any theme. Grammar and punctuation important. Handwritten stories accepted (please make sure it is legible) or stories can be submitted by email. Stories are due Friday April 26 by 5 p.m. Winners will be announced on May 1. Gift cards available for the first place winners by age group. Winners may also be invited to read their poems during our Children’s Book Week events on Friday, May 3. If you have any questions, please contact Heidi Rowley, at HideAway Books. 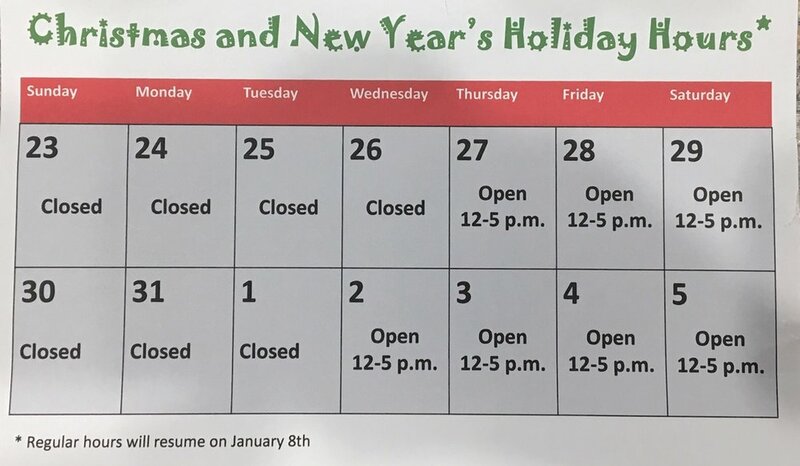 From Dec. 24th through Jan. 7, our hours will be a little different. It’s been crazy getting moved to a new location, and getting set up for the holiday season. We’ll be slowing down a little to spend some quality time with family, who have been so patient during all the changes. See below for the change of hours. Regular hours will resume on Jan. 8. HideAway Used Books is excited to announce that we are moving to a new location! Located less than a full block away, the bookstore will be expanding from it’s current 1100 sq. ft, location on Center Street, to a 1700 sq. ft. building at 8 E. Main Street, in American Fork. This space is next to Tangie’s Cafe, and was most recently occupied by Revity. To facilitate a quick move, the bookstore will be closed at 3 p.m. Oct. 31, and reopen at the Main Street store, at 10 a.m. Nov. 13. HideAway Books will be participating in the annual Halloween on Main event on Oct. 31, from 3:30 to 5:30, handing out candy, toys, books, and a bookmark in front of the new location. As a side note, we will not be able to take additional books for store credit or donation until Dec. 1, in order to get our current inventory organized. Thanks to the amazing community of book lovers who have made this growth possible. A short walk or drive away! Is your child’s classroom participating in this year’s Battle of the Books? This national reading competition pits student against student who read from the same list of books. HideAway Books has been working throughout the summer to collect, or special order, as many books on the list as possible. Get your books used, for a big discount, or new, selling at a smaller discount. Pay less for new books here, than on Amazon. For example, on Amazon, Roller Girl is just under $12 new, but priced at $9.49 at HideAway Books. Even our used books are a great deal! The Indian in the Cupboard used on Amazon goes for around $5 online, and around $2.50 in store, depending on the condition. You can’t beat these fun deals. Support a local small business, support your child’s education, and as always support awesome reading programs! The third book in the Billy Blacksmith series, by local author Ben Ireland, was released last week at FanX in Salt Lake City. Ben will be at HideAway Books at 11 a.m. on Saturday, Sept. 15, with Billy Blacksmith: The IronSoul, as well as his previous two books, The Demonslayer and The HellForged. Billy Blacksmith is a pudgy teen who learns he has a major role to play in the war between demons and humans. If you’re a fan of Percy Jackson, this middle grade series, you will become a huge fan of Billy Blacksmith as well. Get all three book in store on Saturday, with a signature, or buy here on Amazon. HideAway Books Facebook page will have details on the event. Also, check more information about Ben Ireland, here. We've added additional Magic Tree House Camp sessions starting Friday, July 13. Sign up your kiddos, ages 6-10, for a fun 4-day, 90 minute camp that includes reading from the adventures of Jack and Annie, doing crafts, and getting in some movement activities. We even have our own "Magic Tree" behind the bookstore! $25 per kid. They get camp on July 13, 20, 27, and Aug. 3. Plus on the last camp day, a free tote bag with prizes and free books. Call the store, or come in to get signed up. Check out our facebook event here. Join us on Friday June 1 from 1-4 p.m. to kick off Summer Reading SuperHeroes Bingo at HideAway Used Books. Kids of all ages are invited to pick up a bingo card that invites them to read about superheroes, read a true story, read under a tree, and participate in many other reading adventures. Fill out one line for a little prize, or complete a black out for bigger prizes. Fill out as many bingo cards as you can all summer long! On June 1 we'll have opportunities to fill out several squares during the event. In addition, HideAway Books will be hosting a story time every day during the summer at 1 p.m. in the store. Each day's story will correspond to one of the bingo squares. Lots of prizes, (including a free ice cream scoop from Culver's in American Fork), and lots of fun. If you are a business who would like to donate a prize, please contact us. Be a superhero and read! We're so excited to a participating bookstore in the Magic Treehouse Passport to Adventure, Summer Camp Edition. Pick a Wednesday or Friday morning in June for your kiddo, ages 5-10 to come to the bookstore for some fun reading adventures, with crafts, prizes, and other fun. Two sessions, both running from 9:30 to 11 a.m.
Each week will have a themed adventure, lining up with several of the Magic Treehouse books. Sign up in store or over the phone. Deadline June 1.